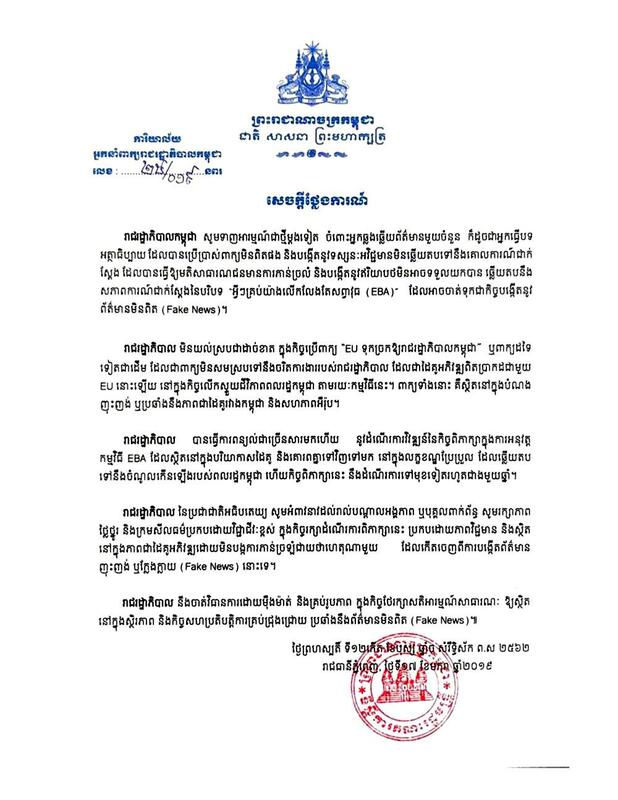 Phnom Penh (FN), Jan. 17 - The Royal Government of Cambodia would like to draw the attention from all media that have been using the inappropriate words and negative visions, making confusion to the public and unacceptable outcomes in response to the real status quo pertaining to "Everything But Arms"(EBA). 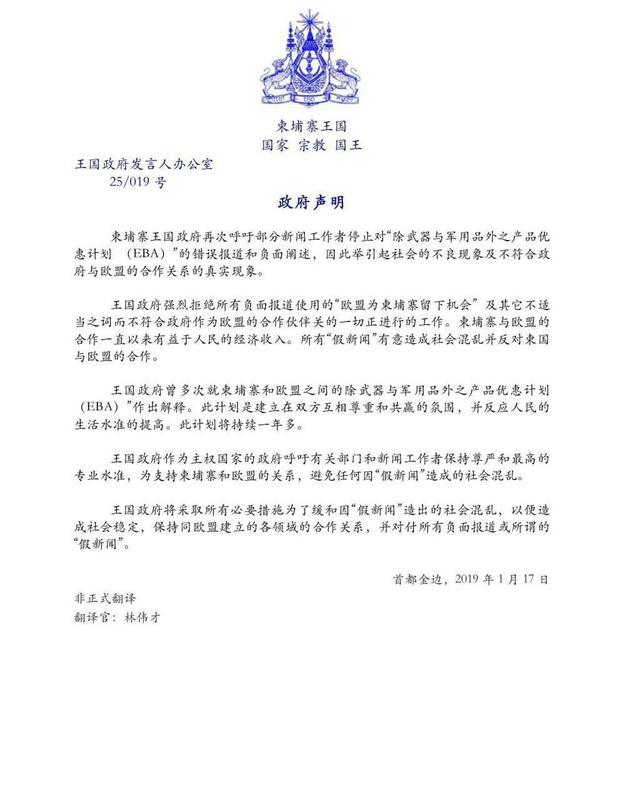 This can be considered as the act of fake news in the country. 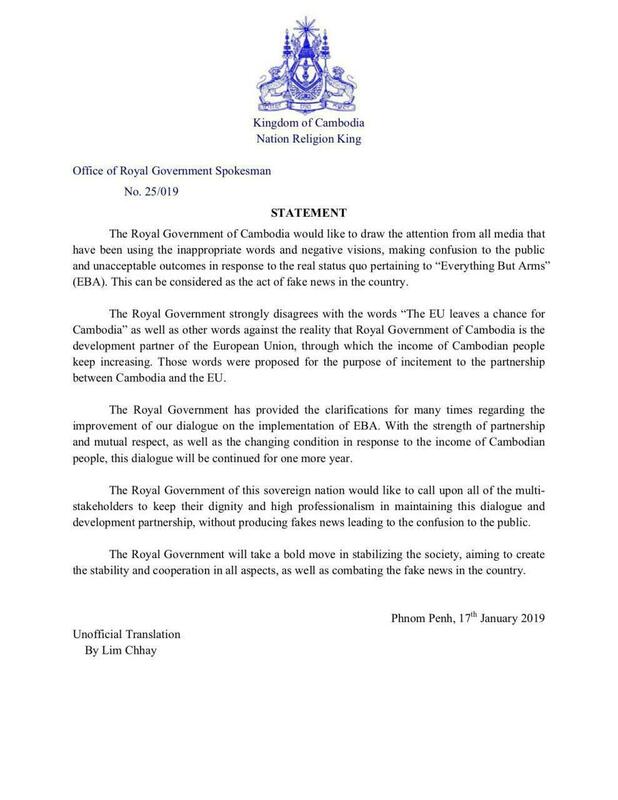 The Royal Government strongly disagrees with the words "The EU leaves a chance for Cambodia" as well as other words against the reality that Royal Government of Cambodia is the development partner of the European Union, through which the income of Cambodian people keep increasing. Those words were proposed for the purpose of incitement to the partnership between Cambodia and the EU.